I have a secret. Well, it isn’t a secret to those who know me in real life but to those in the blogging community, it is. See, I live in Hickory, where a good majority of The Stolen Marriage takes place. My son goes to school at the elementary school in the historic Oakwood area. I see the Baptist Church when I go downtown. My youngest goes to preschool at the Presbyterian Church mentioned in the book. When I saw the blurb for The Stolen Marriage on NetGalley, I had to request it. I had to read about Hickory in the mid-1940s. When I was approved for the ARC, I was thrilled and I hoped that the book lived up to my mental build up. It did. The plot of The Stolen Marriage was a pretty straightforward one. Tess made a big mistake (read the book) and in her haste to rectify her mistake, she married Henry Kraft. Which surprised not only his mother and sister but the townsfolk of Hickory. Everyone expected him to marry the daughter of a prominent lawyer. So when he turned up married to Tess, unhappiness abounded. But Tess’s marriage was a strange one. Henry stayed out all hours of the night and never made love to her. While he treated her with kindness, he held her at arm’s length. There was a disconnect that she found strange. It takes two personal tragedies for Tess to unravel her husband’s secrets. It also took a polio epidemic for Tess to realize her worth. 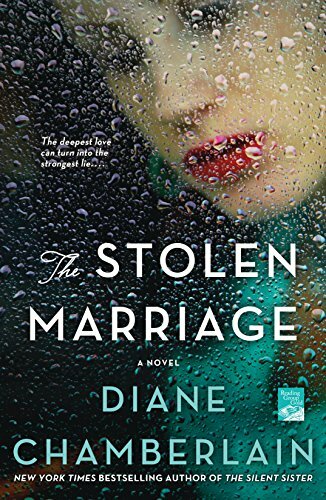 The Stolen Marriage is women’s fiction with a twist. There is an element of mystery interwoven in the story. I will admit, I did figure out the mystery pretty early in the book. But me figuring out the mystery did not take away from my pleasure in reading the book. As with all mysteries, there is a twist in the plot that did take me by surprise. Looking back, there were hints leading up to the twist but I ignored them. Teaches me to ignore hints. I liked Tess but I thought that she made some major decisions while not thinking. I get why she went to Hickory, to begin with, I would have done the same thing. It is that she didn’t show that same spirit while living in Hickory. She was so beaten down by everything that was going on and how she was being treated that she gave up for a while. But after the accident and what happened afterward, I saw some life come back into her. By the time the hospital was being built, she was almost the same Tess that she was at the beginning of the book. Then the twist happened and truths were revealed. Instead of returning to that weak women, Tess became stronger. She became the women she should have been while living in Hickory. I couldn’t get a handle on Henry for most of the book. I also couldn’t get past the secret keeping. That man had so many secrets, it wasn’t even funny. My head spun from all the secrets he had. It was one secret right after another with him. I got a bit tired of all the skulking around he did and was almost relieved when his secrets finally came out. I was a little shocked when what happened next happened. I didn’t think that he had it in him. I also do think that he should have been there more for Tess. She was going through hell and he stayed away from the house. He could have at least put his mother and sister in their place. The end of the book was a bit of a surprise but it fit well with the story. All the storylines were ended in a way that satisfied me as a reader. I also liked the peek into the lives of Henry and Tess in the future!! What I also liked is that the author chose to put a personal note with references to the events in her book. The Stolen Marriage is a wonderfully written women’s fiction/mystery/drama that is steeped in the history of WWII era Hickory, NC. This book is not a quick read. I would recommend that if you do read it, that you set aside a bit of time. This is a book that will capture your heart! !